On A Roll Podcast on Patreon — Become a patron of On A Roll and help keep us on the air! Every dollar makes a difference! The Baker Street Irregulars — The original Sherlock Holmes "fan club" is still around today! Learn more about the Baker Street Irregulars! Nuts.com — Be like a Jericho fan! Order peanuts from the same company that Jericho fans did when they saved the show from cancellation! 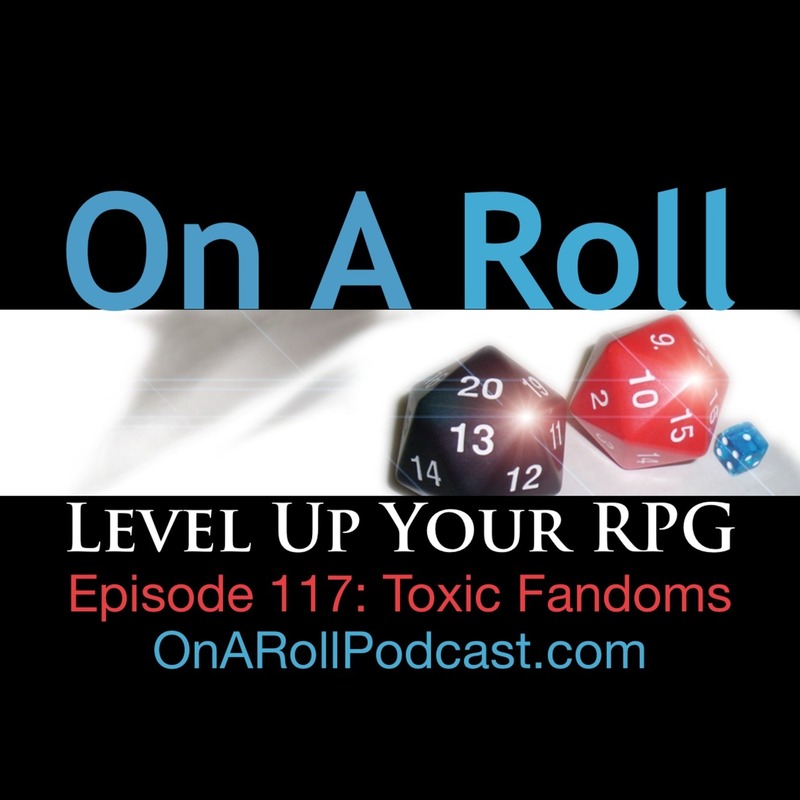 Critical Role — Critical Role is the life-play Dungeons & Dragons show in which a character was killed a few weeks ago. White Wolf's Facebook page — White Wolf Publishing's official Facebook page is where a lot of the terrible, toxic fan behaviors reared their ugly faces a few weeks ago. Lost Colonies Larp — Joe Hines is running a great LARP in the Washington DC area that you should check out if you're in the area!